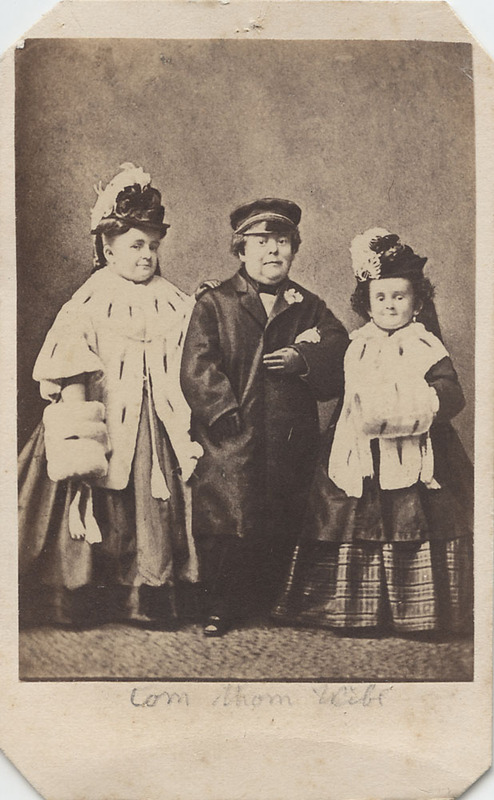 The move to relocate some of the museum’s holdings – the bulk of which is part of a Royal Photographic Society (RPS) collection that charts the development of photography over 200 years – was announced in February, prompting accusations of “cultural vandalism”. “This is an appalling act of cultural vandalism,” said Simon Cooke, the Conservative leader on Bradford city council. 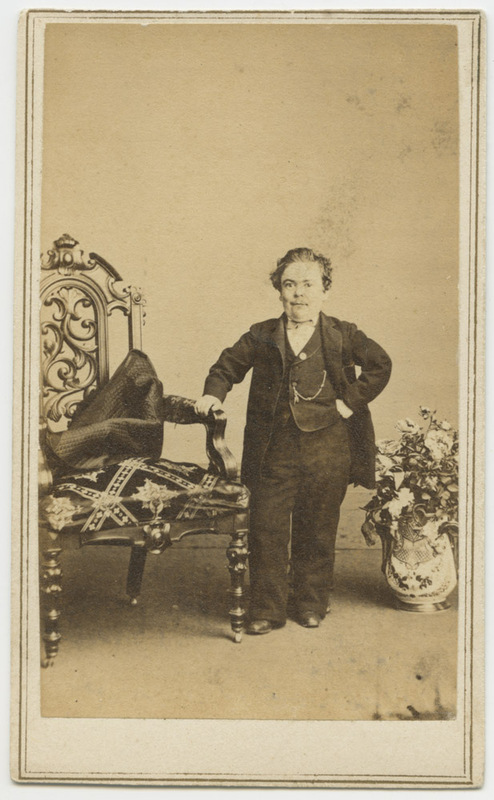 “I know London is a big, grand and fantastic city but to denude my city of these photographs reminds us that you … care not one jot for our heritage and history. As a result, major figures such as David Hockney, Mike Leigh the film director, photographer Don McCullin and more than eighty other artists working with still and moving images have picked up their pens to add their voices to the protest. Here’s hoping they are heard. 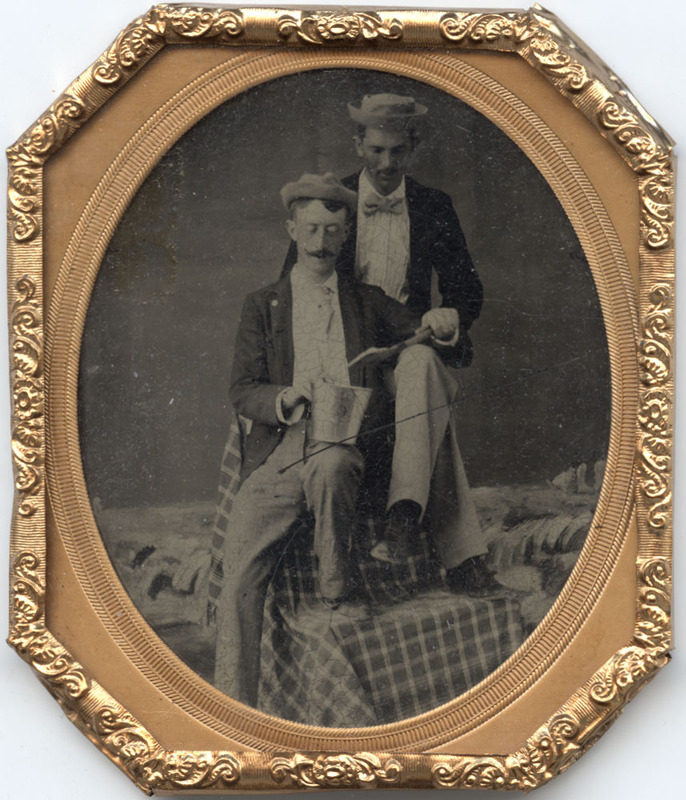 Well folks, I think it’s time and appropriate that I spin off my blogging about image collecting from my blogging about my own photographic endeavors. I want to differentiate the two activities and use this blog, dcphotoartist.com, as a professional communication channel to talk about and share my portrait work and travel images. So I hope you all will bear with me as I make the transition, and read up on both blogs. 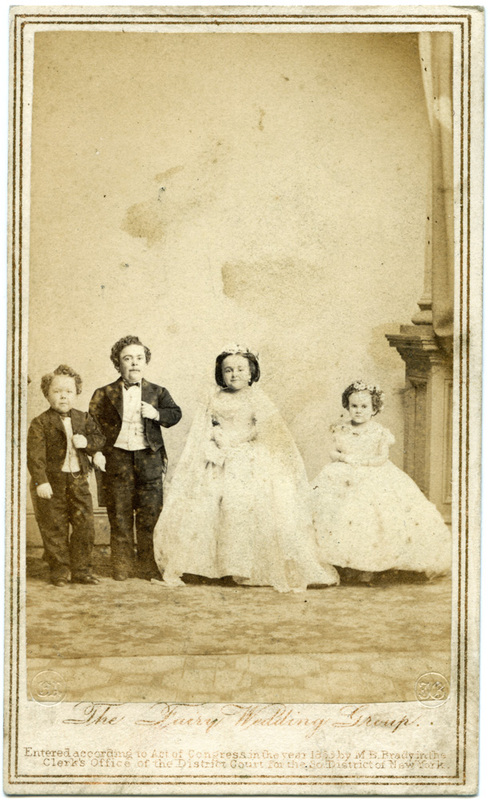 The new blog will be http://dcphotocollector.com. 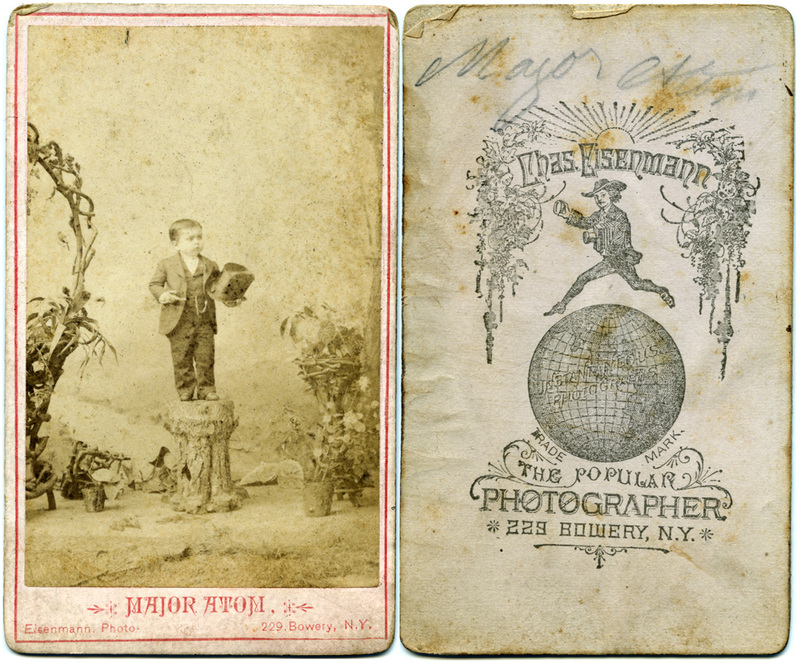 I’m using the theme photo of this post as the branding for the collecting site, at least for now. 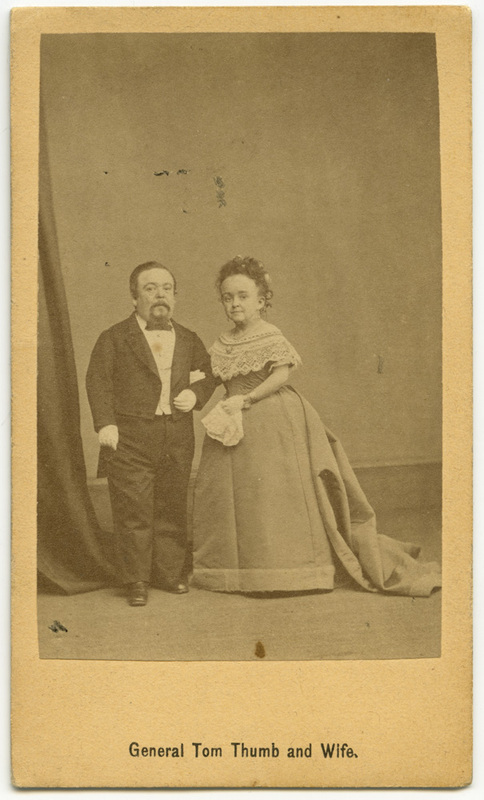 I’m launching it with another post about Tom Thumb and his wife. 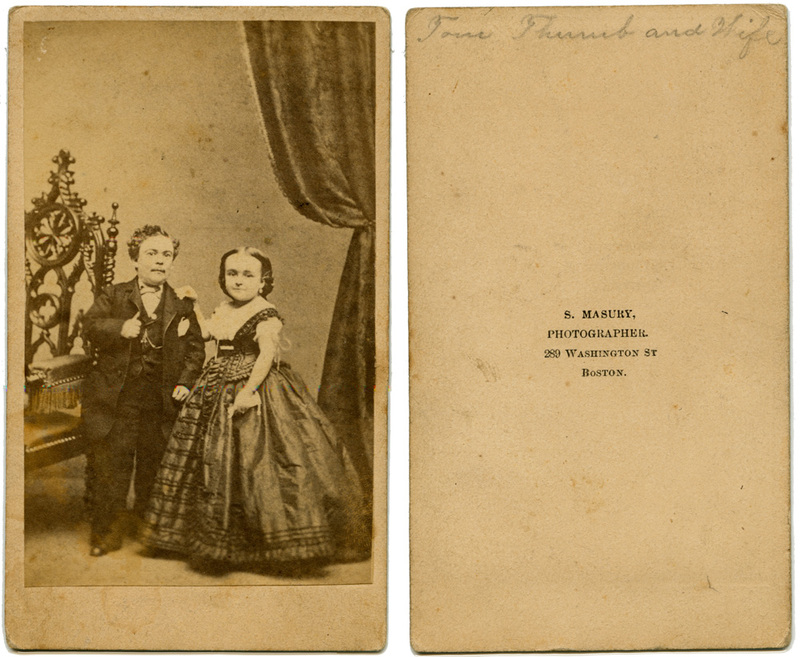 No, not a prequel to The Thief, the Cook, His Wife and Her Lover, it’s a CDV by an unidentified photographer of Tom Thumb, his wife, and her sister Minnie Warren. These are the ones I have in my collection. 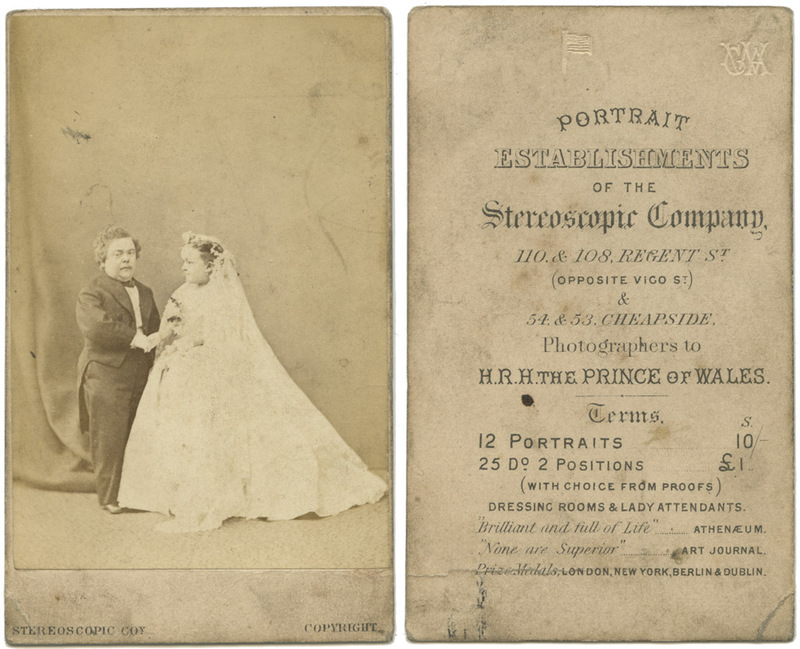 I know there are more out there that I don’t have (one particular one from the wedding, and at least two from the London Stereoscopic Company). This puts me at 15, eighteen if you count the ones I know but don’t have. It’s a far cry from the 150 of Frederick Douglass, but I’m going to keep hunting and collecting and tallying up. 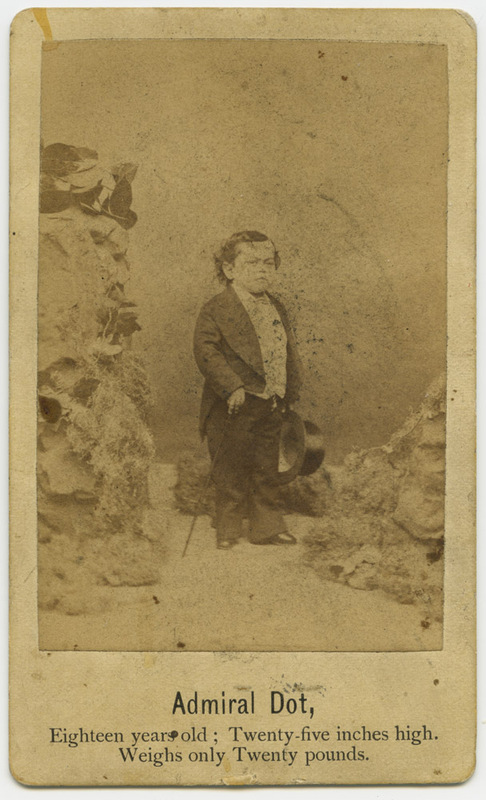 Having been a star of stage and circus for most of his life, he was dependent on publicity for his career and would have worked hard to keep his image in the public eye. 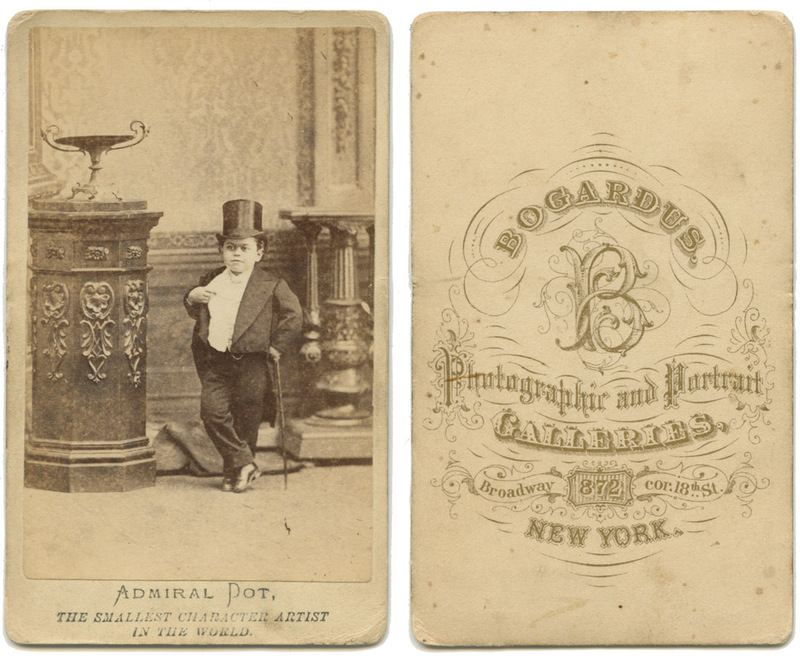 The newest addition to the collection of CDVs of little people sideshow performers – Admiral Dot, age thirteen. 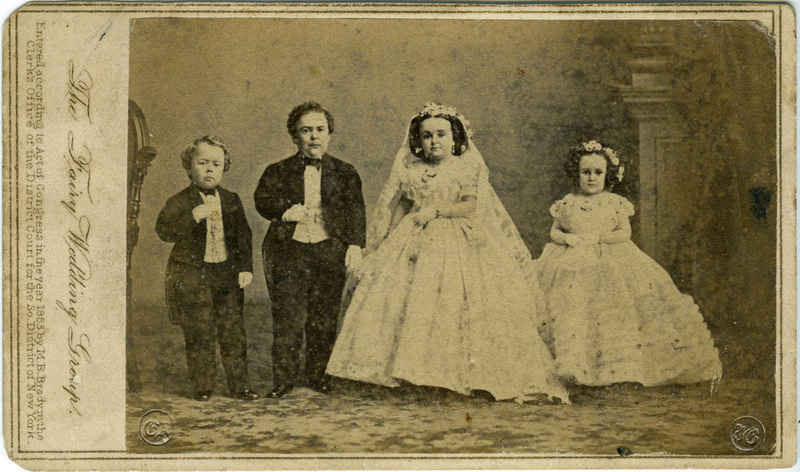 I would take his age, height and weight in this photo with a grain of salt – the producers of these CDVs were prone to mis-statement, exaggeration and even outright lies about the subject’s physical traits as part of the sideshow hype. 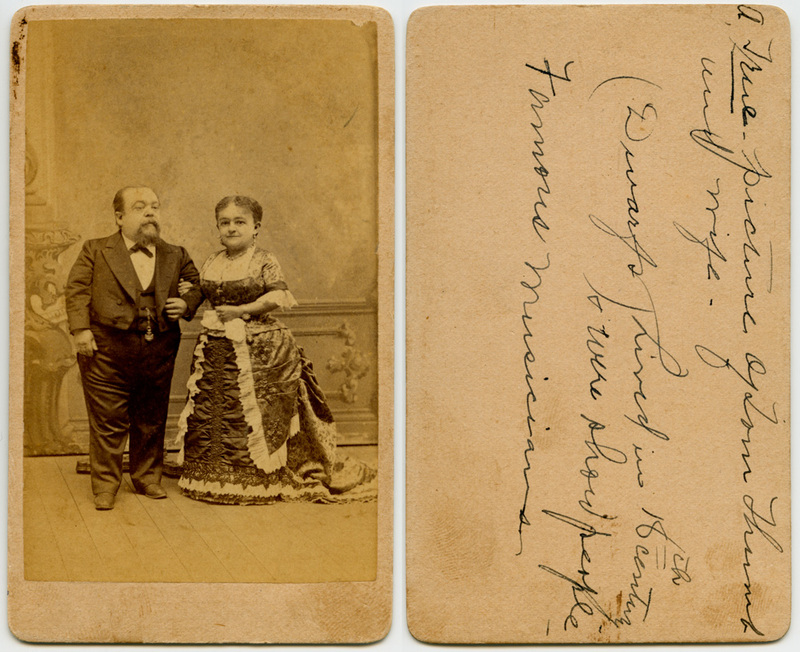 Fat men and women were often described as sometimes a hundred plus pounds bigger than they were. 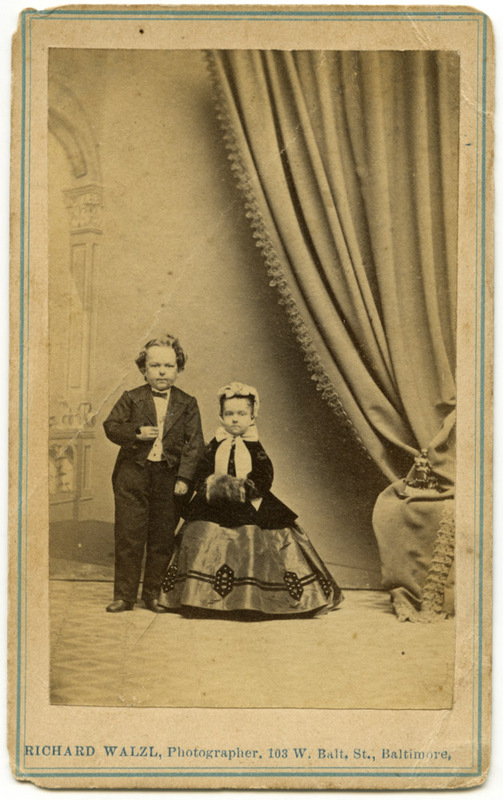 “Giants” were often endowed with an additional six or seven inches in height. 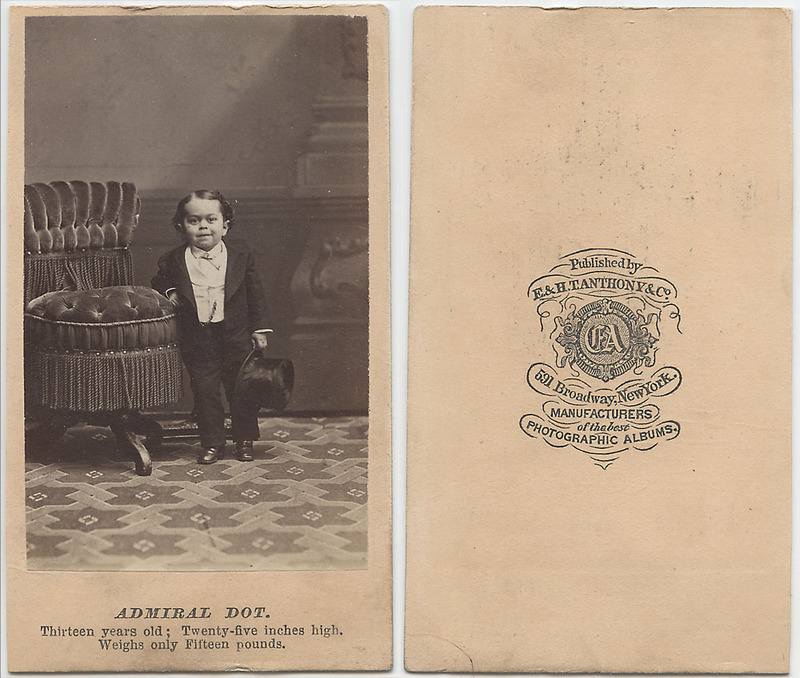 In this case, I’ve managed to wangle a series of Admiral Dot at three different ages- 13, 14 and 18. In the span of five years he’s gained an inch (not unbelievable) and only five pounds. 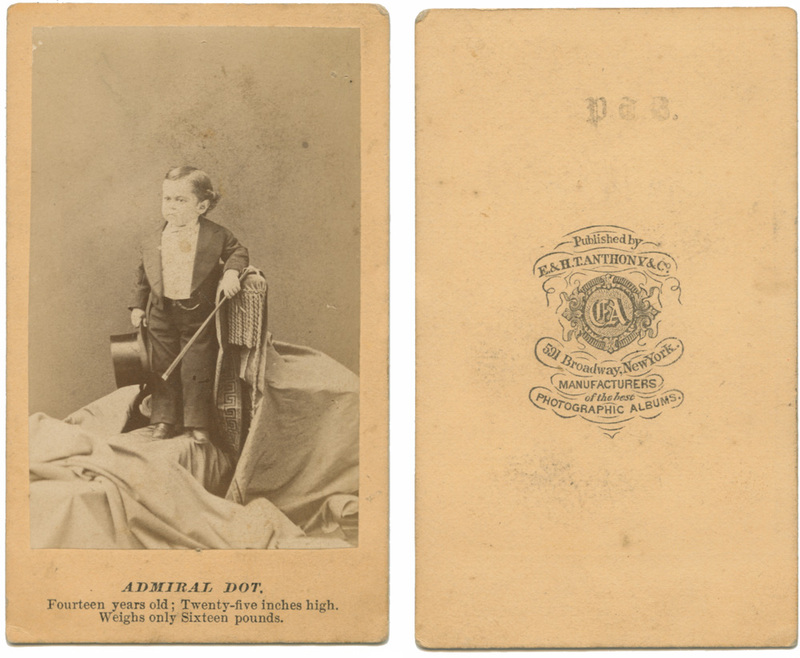 Admiral Dot was born Leopold Kahn in San Francisco. 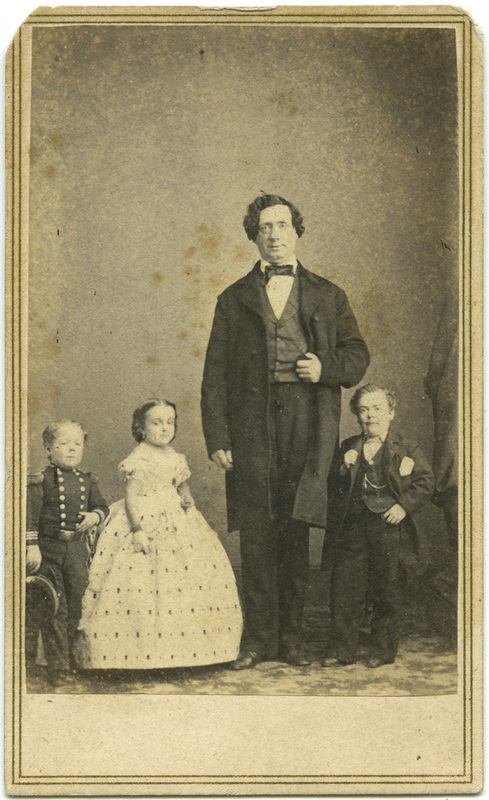 He had two brothers, also little people, who also went on to become sideshow performers – Major Atom and General Pin. He began his career working for P.T. 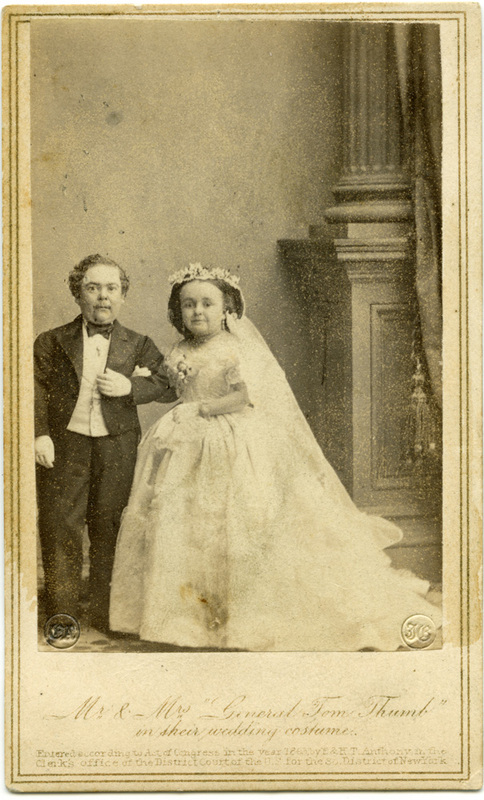 Barnum, but went on to perform with other companies of little people, married another little person, Lottie Swartood, and have two children before dying from the Spanish Flu during the 1918 epidemic at the age of 59. 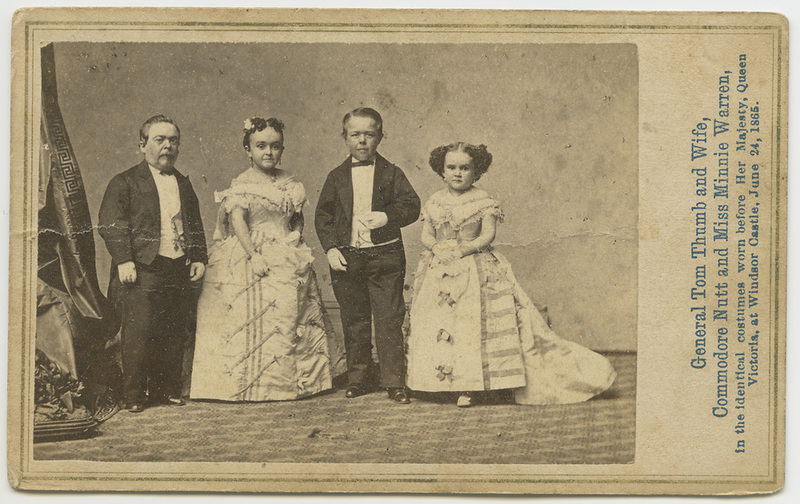 While I do have images of Major Atom, I have yet to come across one of General Pin – he must not have had the career his two siblings did. 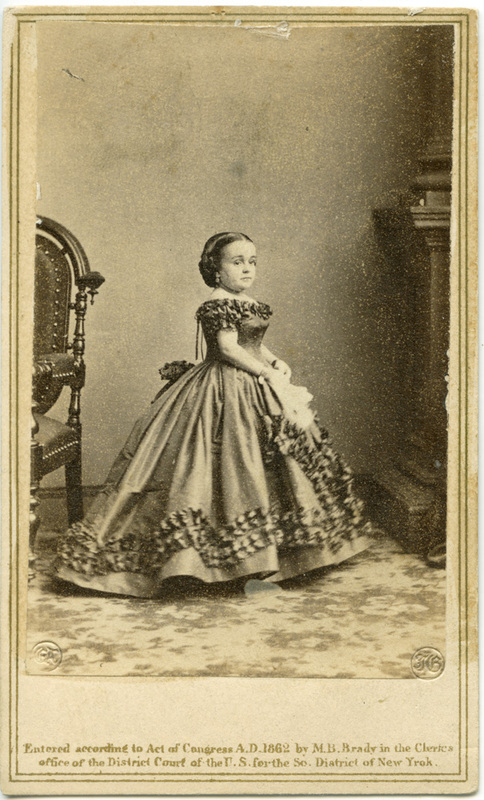 Here is my CDV of Major Atom. 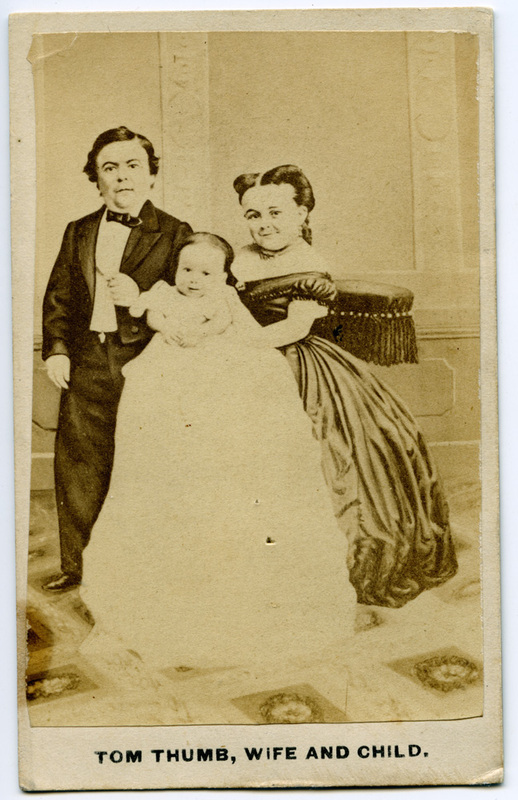 Can you see a family resemblance? Another recent auction acquisition. 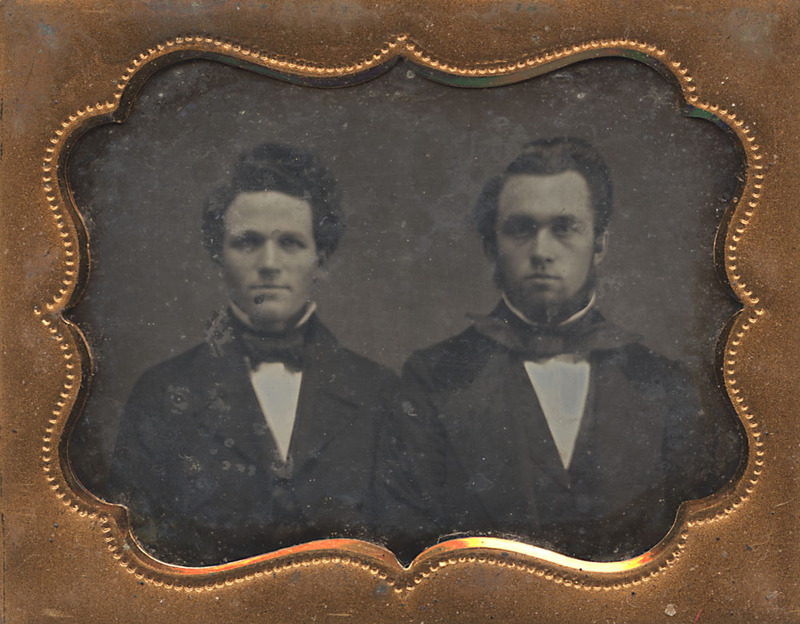 This is a minuscule 1/9th plate (roughly 2 inches x 2 1/2 inches) Daguerreotype of two brothers. 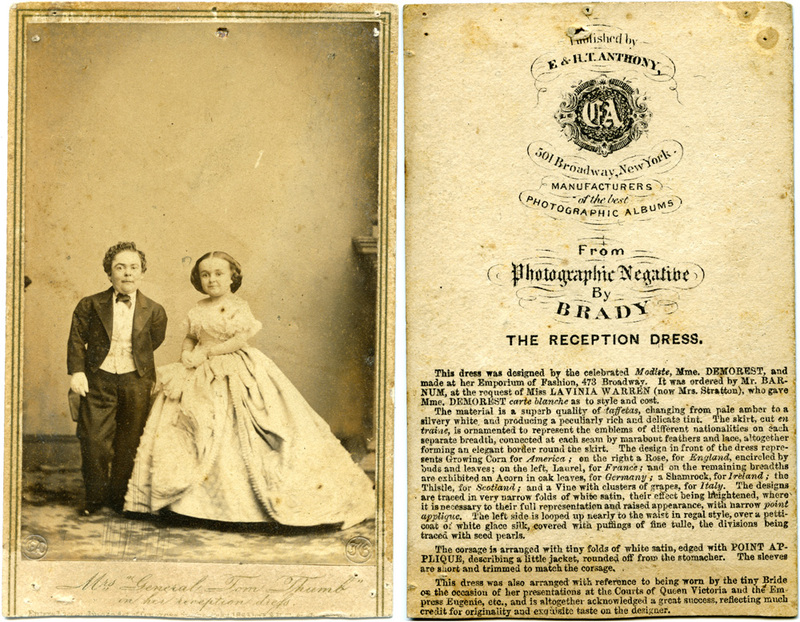 I bought this one because of the relatively unusual size (1/9th plate and smaller Dags are less common) and the subject – I’m not used to seeing 1/9th plate images of more than one person. It has condition issues – while the case still has the original hinge intact, the bottom of one side is missing, as is the lining of the bottom of the image side. The interesting thing about it is that it reveals the case in this instance is made of a thin wood box covered with tooled leather. Some of these cases were made of essentially cardboard before being leather-wrapped. I did do a little bit of cleaning on this one, as the original seals, while present, were badly deteriorated and lots of dust had gotten inside the glass. There is still some kind of schmutz on the surface of the plate, and I do not yet know how to safely remove it, so I am holding off on that. 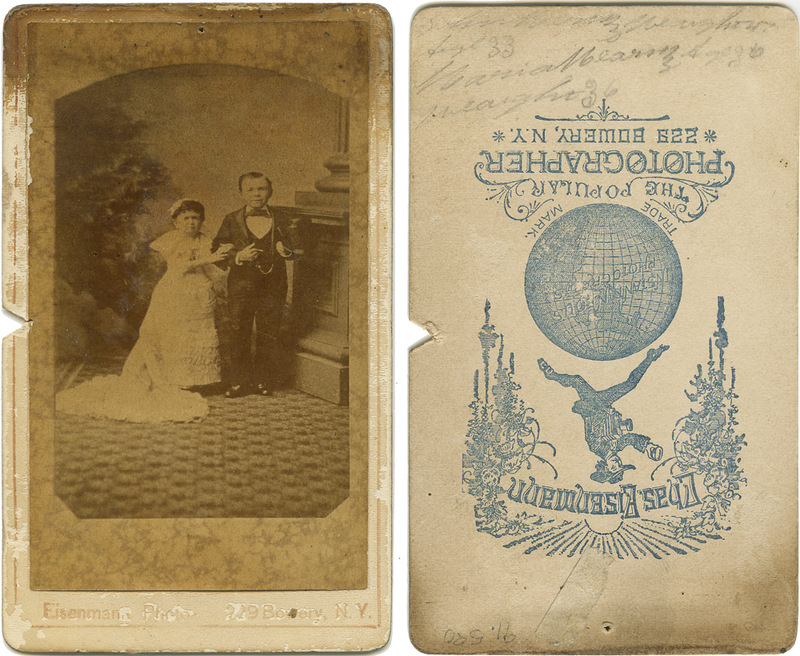 I have digitally cleaned up the scan of the plate to show the potential, but left some of the blotches in the image to give an idea of what it looks like in its present state. 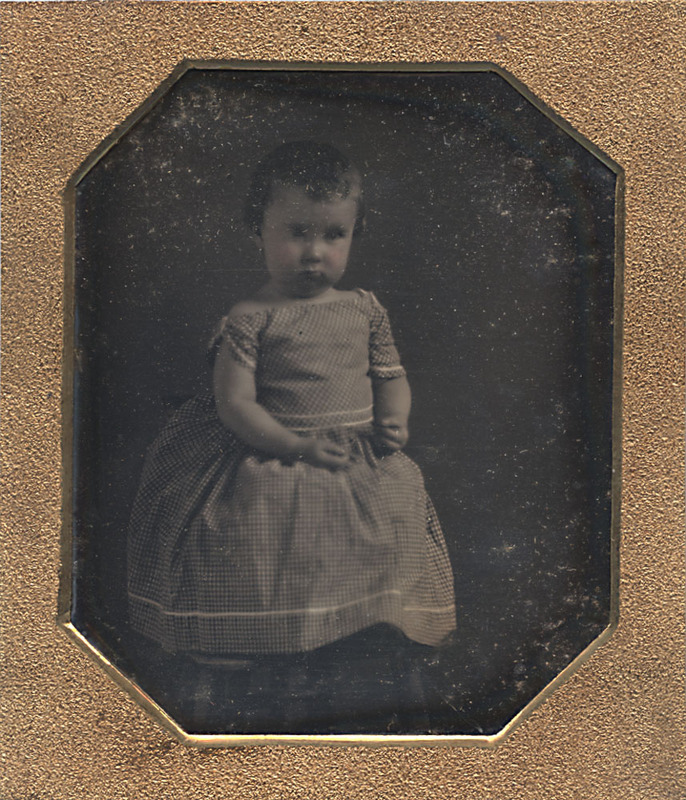 My latest addition to the collection – an early Daguerreotype of a little girl, by Charles C. Evans of 380 Market Street, Philadelphia. The velvet pad on the other side of the case reads “Evans 380 Market Street Girard Row” encircled by “Original Sun Beam”. I’d photograph the pad but the case, while complete, is in delicate condition and to do so would risk breaking the case completely (someone a long time in the past tried to repair the case and over-reinforced the spine, rendering it rigid and ultimately damaged it more). The image did have its original seals, but when I lifted the packet out of the case, they basically fell off, so now it’s time to re-seal it with the correct kind of archival tape.